Found 14 file extension associations related to Parasolid and 7 file formats developed specifically for use with Parasolid. Parasolid’s comprehensive capabilities extend to over 750 functions that include a wealth of model creation and editing utilities such as powerful Boolean modeling operators, feature modeling support, advanced surfacing, thickening and hollowing, blending and filleting and sheet modeling. In addition, Parasolid offers extensive tools for direct model editing, including tapering, offsetting, geometry replacement and removal of feature details with automated regeneration of surrounding data. Parasolid also provides wide-ranging graphical and rendering support, including precise hidden-line, wireframe and drafting, as well as versatile tessellation functionality and a full suite of model data inquiries. Parasolid functionality is underpinned by configurable mechanisms that help integrate Parasolid tightly and efficiently into diverse applications. Parasolid provides the modeling foundation for hundreds of world leading applications in computer-aided design, manufacturing and engineering analysis (CAD/CAM/CAE) applications and serves as the corporate standard for UGS’ own market-leading portfolio of product lifecycle applications, providing 3D digital representation capabilities for the company’s NX, Solid Edge®, Femap® and Teamcenter® solutions. 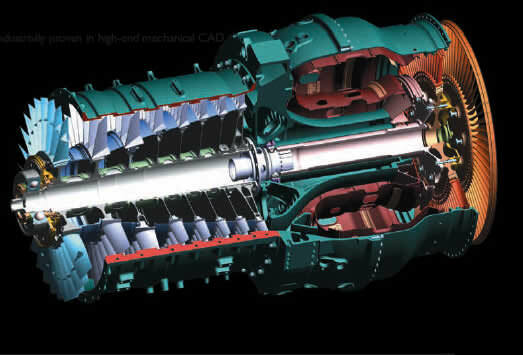 Industrially proven in high-end mechanical CAD applications, the power of Parasolid is also deployed in many leading mid-range systems and enjoys widespread use in the independent CAD, CAM, CAE and visualization markets. The global reach of Parasolid-powered applications spans multiple industries and now exceeds two million end users – all of whom benefit from the ability to seamlessly share geometric models through Parasolid’s native XT file format. Parasolid users also benefit from intrinsic, tolerant geometry processing that enables Parasolid to operate successfully with imported data of variable accuracy without loss of robustness. Parasolid Bodyshop is an add-on component that validates and optimizes the integrity and reliability of imported data using model healing and repair technology. Parasolid Translators are toolkits that facilitate high-quality data exchange between Parasolid and most major CAD formats. These technologies combine effortlessly to provide Parasolid users with the most robust interoperability platform available today. By coupling unsurpassed 3D modeling functionality with industrial-strength interoperability and proven customer support, Parasolid continues to rapidly expand its market share and enhance its position as the kernel-of-choice for powering the world’s premier product development applications. If you need more information please contact the developers of Parasolid (Siemens Product Lifecycle Management Software Inc.), or check out their product website.